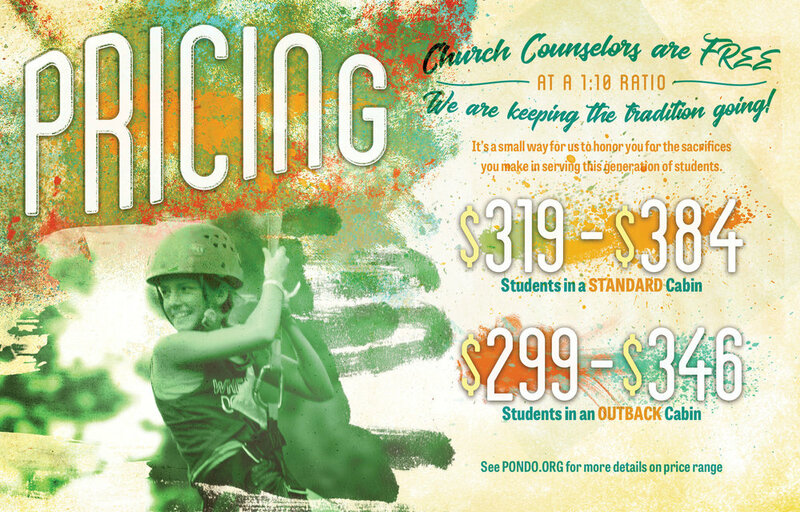 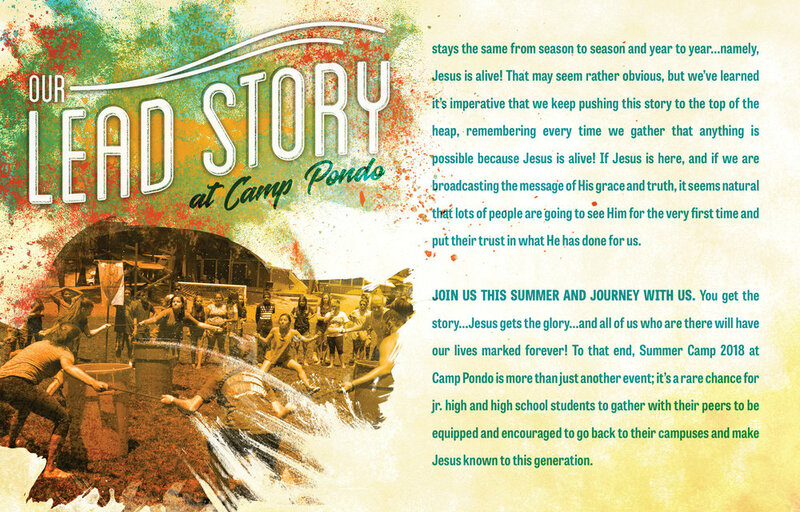 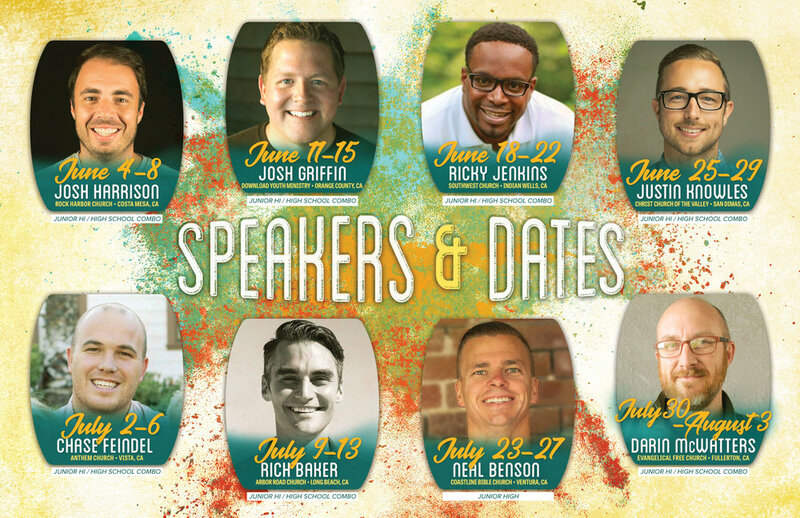 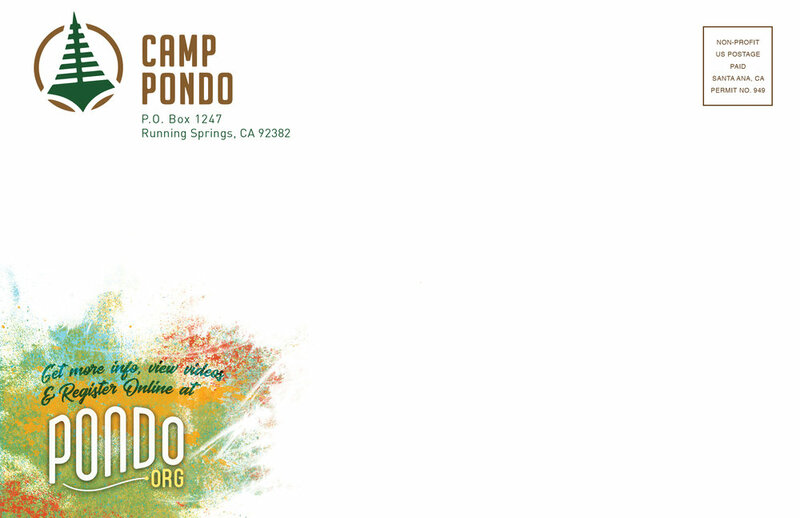 A Direct Mail Brochure designed for Camp Pondo's 2018 Summer Season. 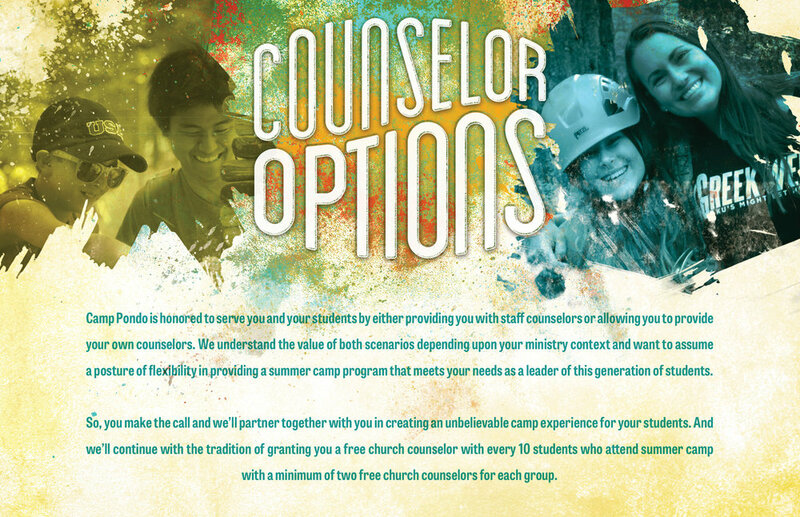 Custom Type Treatments were created for each panel to match the content and visual theme. 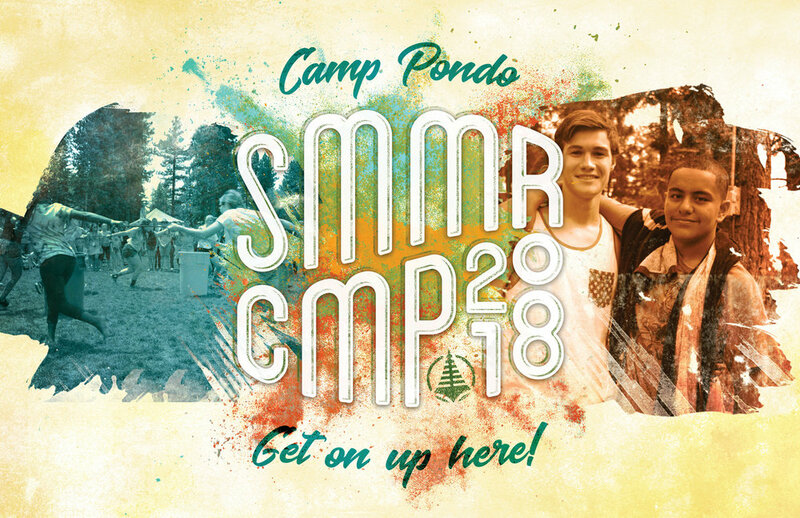 Other Promotional Materials created for this project included a flyer listing activities to aid youth leaders hyping the camp experience, and customizable fliers (and posters) with space for youth leaders to add their own group's specific information.